Bare legs, don't care. I'm in a spring state-of-mind. You look fabulous!! I love blue so much and it looks amazing on you!xo! love this your outfit !!! I am loving the use of complimentary colors...so sharp! Love this outfit and this blue colour! Thank you for this post! Very pretty, love the blues on you! adore this look SO MUCH!! 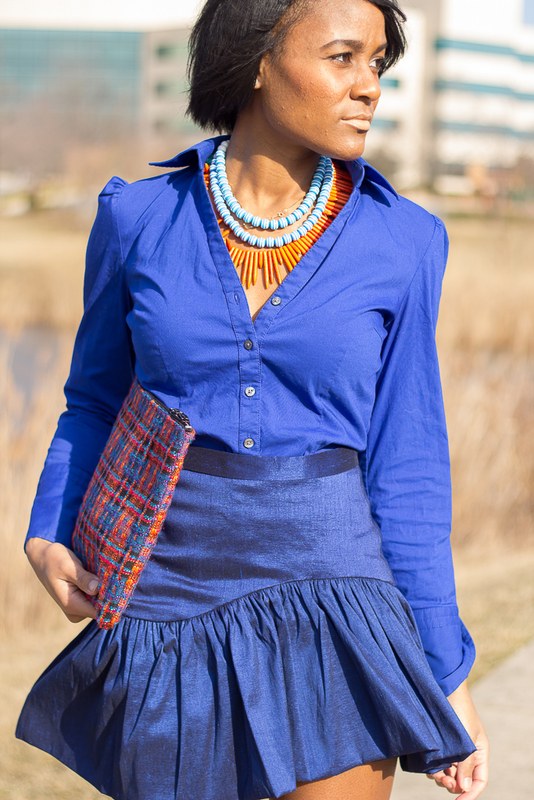 You look amazing in cobalt blue and that clutch is to die for!! Love this monochromatic look. Great bag and necklace as well. I always see you looking so high fashion at the Lucky Community....& this is definitely one of my faves!!!! love the skirt !!! this blue is amazing! Cobalt looks so amazing on your skin-tone and could those legs BE any sexier?! Great look. Love the skirt, very cute outfit. Very cute! I love the bag! this is an amazing look especially with your glowing skin!! I'm so stunned!!! amazing!! Tiene un increíble estilo, me encanta!! le sigo desde ya!. you look great! I love your outfit, especially your skirt! I love that skirt, and your jewelry in this outfit is sooooo chic! This outfit is so perfect!! And the photos too! Fantastic outfit; I particularly like those cute shoes. You look lovely! Yes!! Love the blue!! Amazing look! !